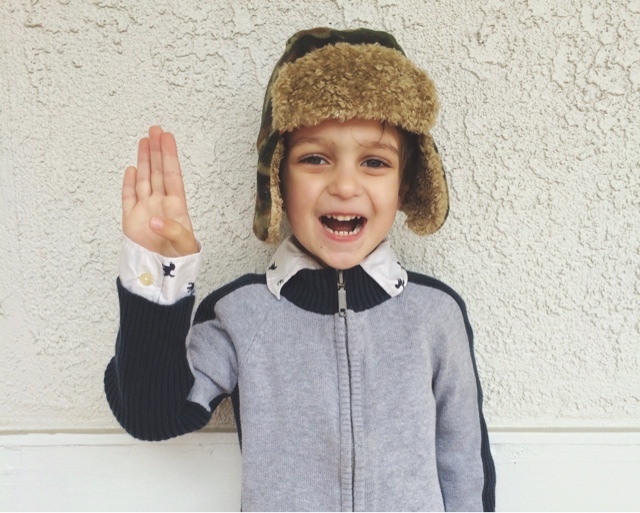 He's everything a four year old should be: creative, full of energy, playful, funny, silly and sweet. I love my Hudson. Having this boy in my life has been a blessing beyond compare. Of course, times get tough, tempers rise and patience is lost, but there is so much goodness and joy that those ugly moments are quickly forgotten. He's a good boy who loves his daddy, worries about his baby sister and is his mommies twin. He's an Oreo loving, car enthusiast who plays all day long. My life changed four years ago and life is looking good because I get to watch this boy grow and grow and learn and learn. It's going to be fun.